Life is about getting the things you want, Live where life’s necessities and luxuries are just at your doorstep. hospitals and major thoroughfares. It’s life the way you want it to be. Get linked to the hustle and bustle of Metro Manila! 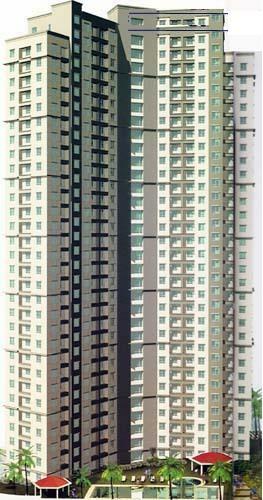 Gateway Regency is just 10 minutes away from the Ortigas and Makati Central Business Districts. Found at the middle if the following major cities: Quezon, Pasig, Makati, Taguig and Mandaluyong, Gateway Regency’s central location is ultimately he perfect home and a prime investment for you. Live life in the fast lane at Gateway Regency. It’s accessibility to the Metro Rail Transit makes traveling from north to south a breeze. 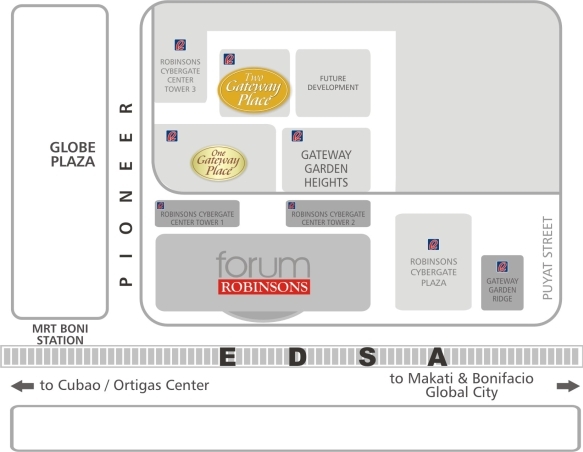 Its proximity to EDSA and C5 also gives you alternative options of getting to your destination on time. Gateway Regency is located within the six-hectare RLC-owned Cybergate City - a modern 24/7 urban and business community consisting of the FORUM Robinsons Mall, prime residential condominiums like One Gateway Place, Gateway Garden Heights and Gateway garden Ridge and BPO/call center office buildings - Robinsons Cybergate Center Towers 1-2-3 and Cybergate Plaza. Total Area : 70.45 sq.m. Unit size : 62.80 sq.m. Total Area : 67.80 sq.m.